Good golly, another fave song here!!! “Windows are for cheaters chimneys for the poor, closets are for hangers, winners use the doors.” Seriously. How ACE is that. This song has stuck with me since I was bout 7 I reckon. One of my older sisters bought this home and struck the needle on this song and BOOM, I was done. I was and will always be a fan. 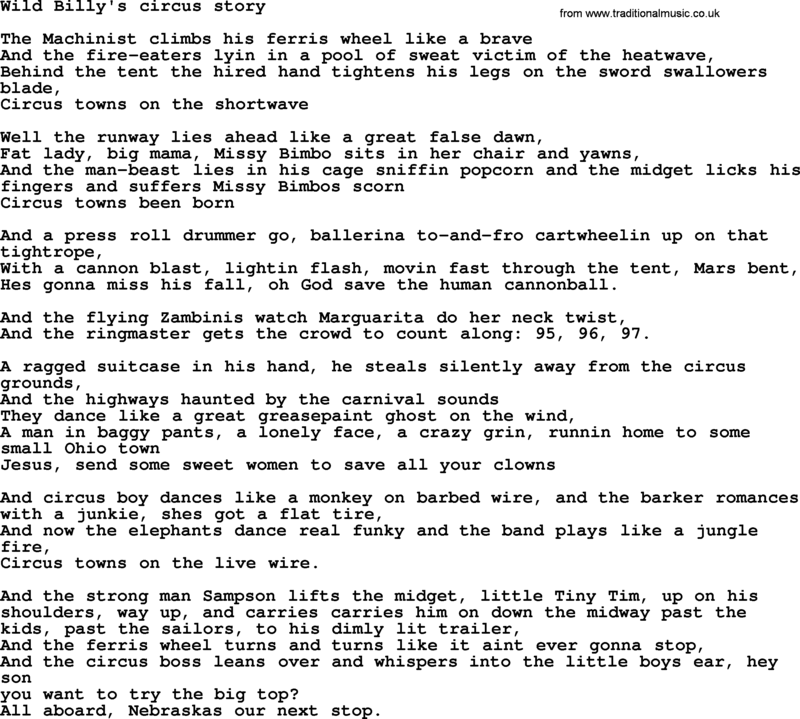 And like most of The Bosses’ songs, this is pure fun poetry. Pure Joy. …. And straight in to this ripping new sparkling Rosié out of the Adelaide Hills. Delsih Granny Smith/Fuji apple complexity on the nose lends to gorge herbal notes on the palate of fresh cut fennel, strawbs and cream and pretty much your constant fire. Yum, but not sure if it’s available in a pretty place in Southern California down San Diego way, but it’s here in downtown Brunswick East…. What a song. What a story. What passion. And what a wine!!! Seriously, one of THE greatest songs ever penned. And I’ll dare anyone to argue that. Like all of Bruce’s music, this is filled with hope and despair with lyrics evenly beautiful and tragic all at the same time. Shakespeare would have killed for the Bosses prose back in the day. 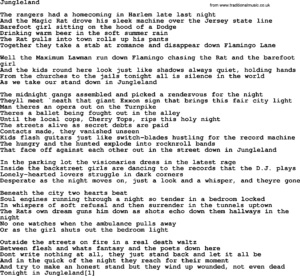 “There’s a ballet being fought out in the alley”, and “Outside the streets on fire in a real death waltz”. And my fave line, “Soul engines running through a night so tender in a bedroom locked in whispers of soft refusal and then surrender….” Insane beauty. And then there is a wine. A beautifully layered wine of earth and spice with soft red fruit. 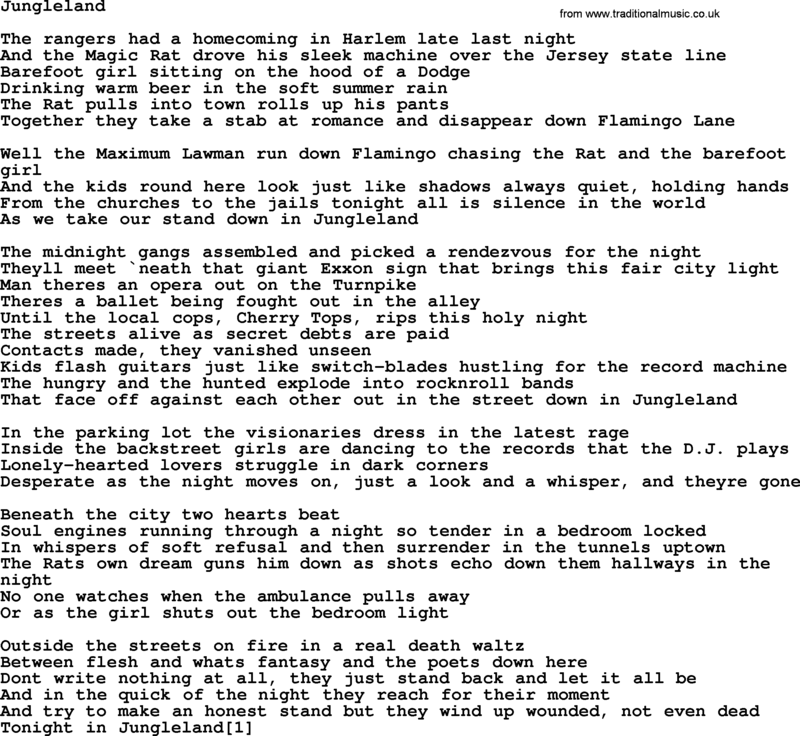 What’s it got to do with Jungleland you ask? Well like the song, this wine has heaps of passion, and well, it’s also long. Long in the palate that is…. I love this song in so many ways as I love Bress Wines in so many ways, but this Bress wine for me evokes what this song is all about. Now what I am about to write here is pretty much like for like with these two; it’s fun and sad. It flows in and out like the tuba lopes along. Its easy to drink like it would watching Marguarita doing her neck twists…. 95, 96, 97 bottles on the wall stuff. Yet it is a sad as watching the clown with the ragged suitcase in his hand, as he steals silently away from the circus ground when you realise you haven’t any more bottles of this ace giggle juice. Yet most importantly, the palate is lite and sure footed as the circus boy dancing like a monkey on the barbed wire fence. 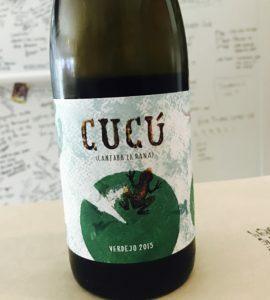 Crush on you and Cucu Verdejo 2015 from Rueda Spain. The Boss is out of control in love in Crush on you. Everywhere is turns he is bang-out-head-over-heels-in-love. It seems he will give it all up each time he catches something he just has to have. 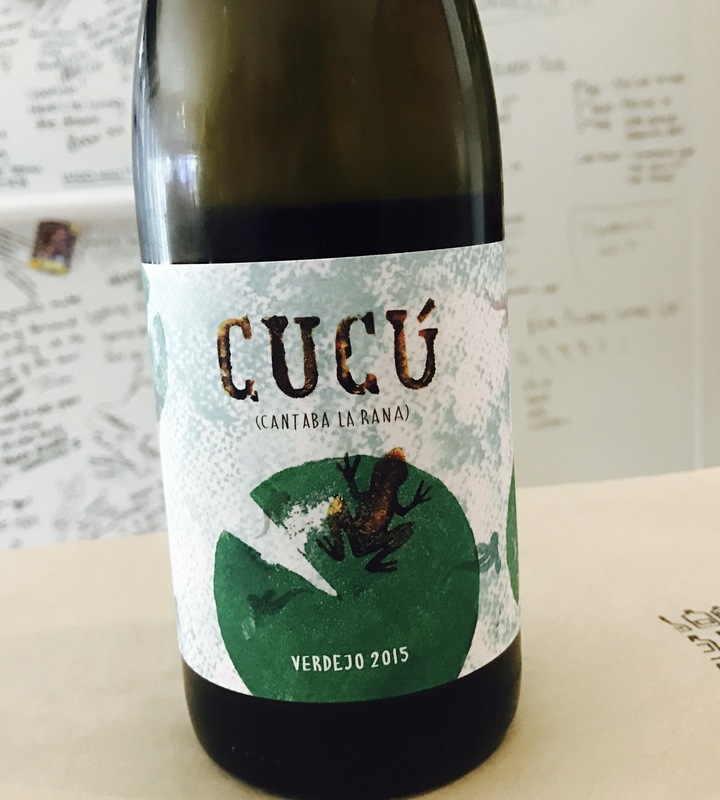 Bit like this wine; the Cucu Verdejo 2015 from Rueda Spain is layer-upon-layer of deliciousnessness….. ness. This comes fully loaded on the nose with such ace fresh parsley leaf and freshly cut fennel. The palate is full of the same bright notes on the palate with mouth watering acid and chalky white tannins. Yep, the brain certainly takes a vacation with this gem…. 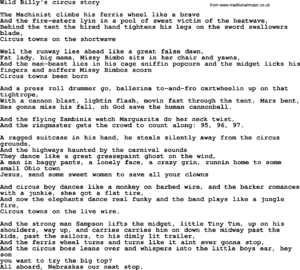 The Boss and Wine – If Bruce Springsteens songs were wine…. What I love about this song is it is so happy and abounds with hope, “The daily news asked her for the dope and she said man the dope is there’s still hop.” Isn’t that just ace!!!! And what about that Matador getting the girl at the end. Or did the girl get the Matador?